After my master’s studies at the University of Warwick, supported by a Chevening Scholarship, I knew I wanted to do a PhD in History. I got accepted into the University of Aberdeen, but did not manage to secure any funding. I decided to defer my place for a year, remaining in Belarus, my home country. My second attempt to secure funding from my institution was successful, and I was awarded a scholarship covering the overseas tuition fees and partial maintenance. However, I didn’t feel financially safe because I needed money to conduct research in archival repositories in England, Poland and Lithuania, not to mention funds to attend conferences. Apart from usual costs for travel and accommodation, as a non UK, non EU student I had higher expenses, also because I was required to apply for visas to enter the countries of the EU and the US. Visa application processes were money-consuming, because every time I had to go to London or Edinburgh to submit the application documents in person. Fortunately, at that time Aberdeen had a full online subscription to the Alternative Guide to Postgraduate Funding. Following its general advice, I tried to apply for everything I could, combining this with what institutional funding I could find. The strategy worked out pretty well for me. By the end of my first year I won a grant of £350 from the Principal’s Excellence Fund to attend a conference in Lithuania, and a scholarship to the value of £5000 from Santander Bank to carry out research in Warsaw, Poland. During the following years I received a two-month fellowship from the German Historical Institute in Warsaw to continue to gather primary source material; a travel grant from the Gilchrist Educational Trust, a minor grant from the Bibliographical Society and a research grant from the Royal Historical Society (£900 in total) for a 1-month research stay in Vilnius, Lithuania; a travel grant from the Renaissance Society of America ($500) and a conference travel grant from the Royal Historical Society (£500) to attend the 62nd annual convention of the Renaissance Society of America; a study fellowship (£800) from the Society for Renaissance Studies for research trips to Gdańsk and Krakόw, Poland; an IHR Friends Bursary (£460) from the Institute of Historical Research to conduct research in London; a research grant (£500) from the Mackichan Trust for research in Scottish archives and libraries; and a doctoral fellowship from the Herzog August Library for a writing-up period of ten months in Germany. There are lots of trusts and charities which offer grants for unforeseen expenses, particularly to those in the last stage of their studies. In my case, my health made me eligible for a number of grants from some trusts. I received funding from the Sir Ernest Cassel Education Trust, Churches Together in Britain and Ireland, the Professionals Aid Council (£500 from each) and the Lech Trust (£750). In the course of my studies many of my attempts to raise funds failed, but I never gave up and applied again and again to other trusts. And now, when I am about to submit my thesis, I can’t put into words how grateful I am to the publishers of the Alternative Guide – without their invaluable work my doctoral research would have hardly been possible. 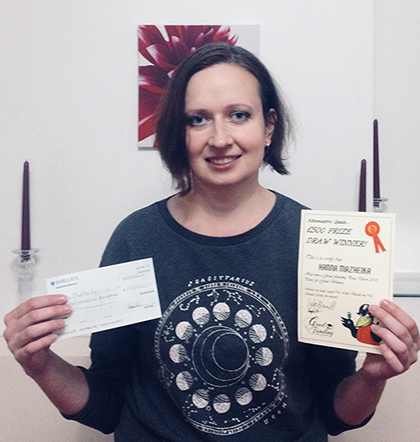 Hanna was awarded first prize - a cheque for £500 - from our Grant Winners Prize Draw 2018. We hope you find her story about raising funding to support her PhD at Aberdeen as inspiring as we do! If you've won a grant to support postgraduate study, you can probably enter too: see our Prize Draw page! Fortunately, at that time Aberdeen had a full online subscription to the Alternative Guide. Following its general advice, I tried to apply for everything I could, combining this with what institutional funding I could find. The strategy worked out pretty well for me. 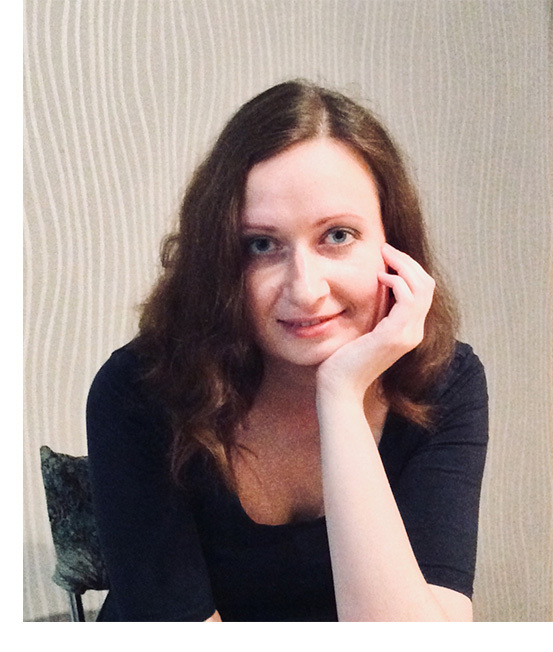 By the end of my first year I won a grant of £350 from the Principal’s Excellence Fund to attend a conference in Lithuania, and a scholarship to the value of £5000 from Santander Bank to carry out research in Warsaw, Poland. During the following years I received a two-month fellowship from the German Historical Institute in Warsaw to continue to gather primary source material; a travel grant from the Gilchrist Educational Trust, a minor grant from the Bibliographical Society and a research grant from the Royal Historical Society (£900 in total) for a 1-month research stay in Vilnius, Lithuania; a travel grant from the Renaissance Society of America ($500) and a conference travel grant from the Royal Historical Society (£500) to attend the 62nd annual convention of the Renaissance Society of America; a study fellowship (£800) from the Society for Renaissance Studies for research trips to Gdańsk and Krakόw, Poland; an IHR Friends Bursary (£460) from the Institute of Historical Research to conduct research in London; a research grant (£500) from the Mackichan Trust for research in Scottish archives and libraries; and a doctoral fellowship from the Herzog August Library for a writing-up period of ten months in Germany. Hanna was awarded first prize - a cheque for £500 - from our Grant Winners Prize Draw 2018. We hope you find her story as inspiring as we do. If you've won a grant to support postgraduate study, you can probably enter too: see our Prize Draw page!